Do you have difficulties when pronouncing English phonemes? If your answer is affirmative, we present you today a website that will help you to improve your level of English phonetics. 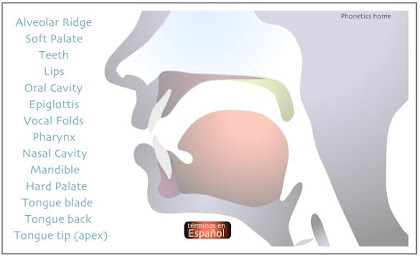 It is a Web page from the University of Iowa that contains flash animations of the phonetic sounds of English, Spanish and German. With regard to the English language, the animations are available for the 44 English phonemes (divided into vowels and consonants) and explain with a video and a step-by-step description how to manipulate the different articulators (lips, jaw, tongue, etc) in order to pronounce English sounds. These animations are really valuable because, apart from the audio video with the explanation about how to articulate the sound, you can also find words in context with the particular sound. Those words will act as extra support so you can consolidate your pronunciation. Note: If you liked this post and you are looking for more free material to practise English sounds and improve your phonetic skills, don’t hesitate to visit our Phonetics section.